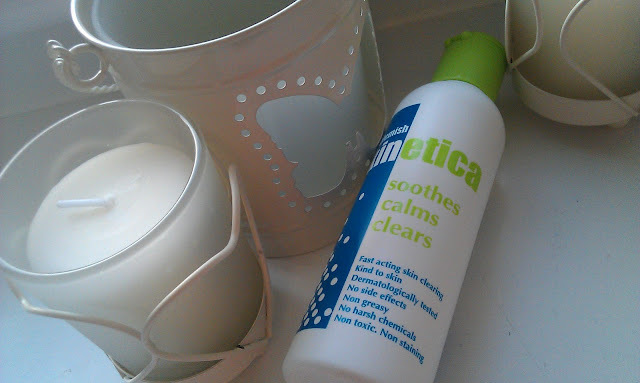 Like most of us girls, I suffer from blemishes, redness and spots so when I was recently offered to try Skinetica* to tackle these problems, I thought to myself, why not, nothing to loose right? Skinetica previously known as Acnigon is a product that actually does what it states on the bottle, soothes, calms, clears. Over the years of teen acne blemished skin, I tried everything, my mum bought me everything and anything to try and rid me of this horrible skin condition, but nothing worked. Then around 19 it all went away until last year when after 7 years of only being lucky enough to have the odd breakout it all came flooding back and adult acne had set in! So since then I again, have been on a mission to find something that actually works for me. Thi dermatologically tested kind to skin product this changed my face completely. After receiving in the post, I popped some solution on a cotton pad, applied to my affected areas and went to sleep and totally forgot all about it until I woke up in the morning. Most of the redness and smaller blemishes that I had the previous day had gone, yip you read right gone! Never before have I used anything that worked so fast. It was like a magic wand was waved over my skin and a miracle happened overnight. I couldn't believe it! My friend , who also suffers with similar skin problems as me, was also looking for something to clear her skin and this worked a treat on her to! She purchased a full size bottle after trying once, yip once! Bigger blemishes require it being applied a few times but for the smaller problem, this works a treat. Unlike most spot treatments this actually doesn't smell to bad, normally these sorts of things have the most strong chemical smell to them but Skinetica somehow doesn't. It has a slight smell, but only lasts a few seconds then it's gone, another box ticked! 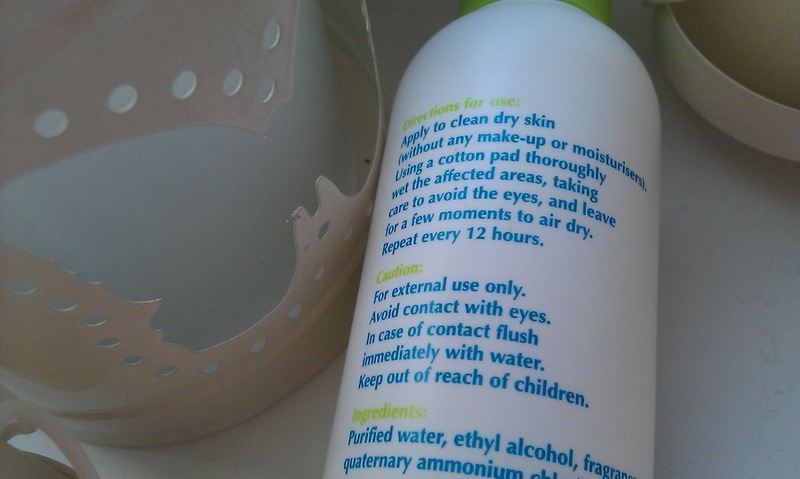 Top that off with the non drying effect it has on the skin and I can safely say, this is a winner in my eyes. Most spot treatments have chemicals in them that dry out the blemish and therefore dry out your skin and leave horrible dry patches but this doesn't. 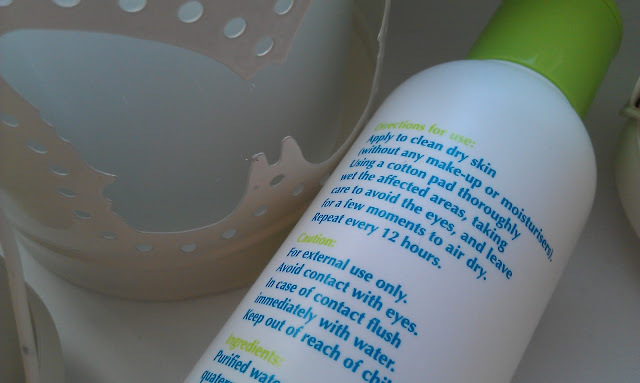 This clear liquid drys instantly and leaves no drying flaky skin. Used morning and night this is now in my favourites for skincare and I will be re-purchasing when I use up this bottle. Also, your blog is so cute :) I love it.. So glad I found it!